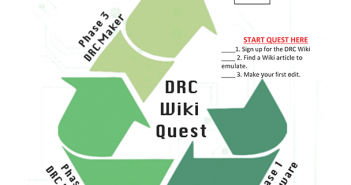 Become a DRC Wiki Editor Today! 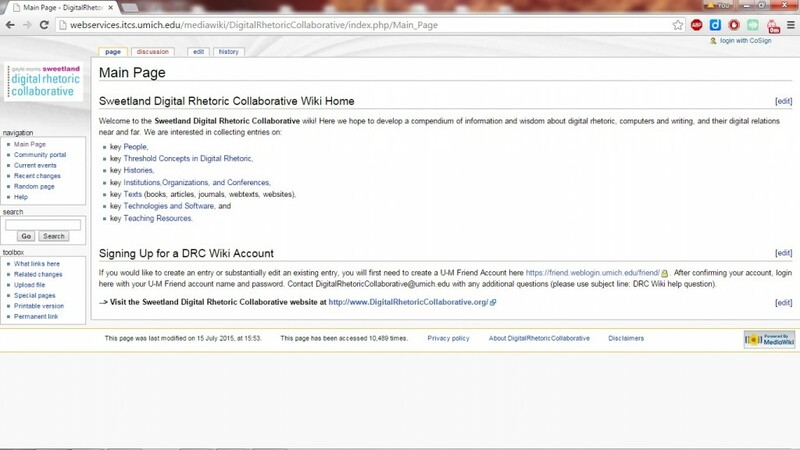 For the next two months, Wednesdays at the Digital Rhetoric Collaborative are going to be focused on wikis, often talking about the wiki we know best, the DRC Wiki. We’ve written before about how we’re aiming to develop the Wiki as a resource for scholars in digital rhetoric, computers and composition, composition studies, and other related fields. 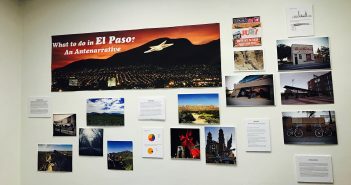 We’re aiming to capture a history–or histories–of digital rhetoric and computers and writing/composition, as well as their intersections with pedagogy, digital humanities, and more, through the DRC Wiki. Building this history—really, histories—is a big task. We need your help. For our inaugural Wiki Wednesday post, we’d like to invite you to join our effort to expand our Wiki by becoming a DRC Wiki editor. If you’re visiting this site, we’re interested in your help. Maybe you’ve been attending Computers and Writing from the beginning (or the famous Hawaii conference)! Or, maybe you’ve been studying Rhetorical Velocity or Stuart Selber’s Multiliteracies for a Digital Age for class or comps. 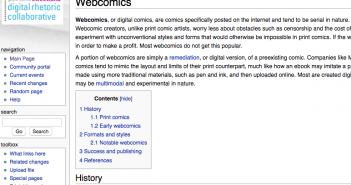 Whatever your scholarly level, we welcome your expertise as a DRC Wiki editor. add additional references to existing entries. 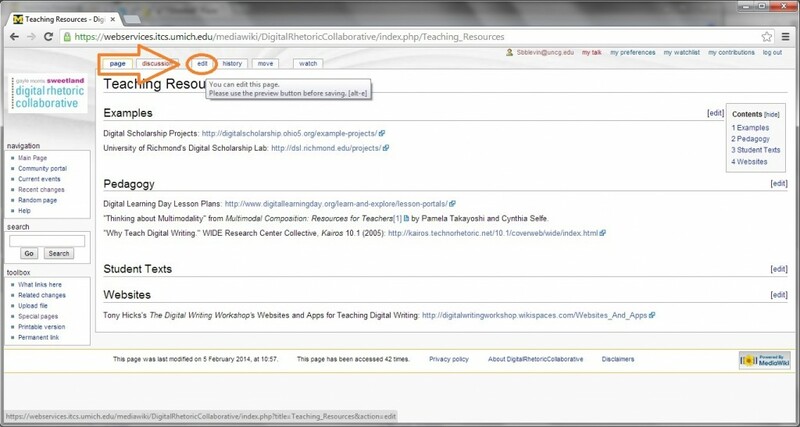 by clicking the wiki’s “login with CoSign” and entering your Friend account and password. 3. After logging in to the wiki, begin making your contributions to the wiki by clicking the “Edit” tab. Check out the Help link for instructions about how to get started as well as the naming conventions for your entry. Welcome to the Wiki! We look forward to seeing your contributions!